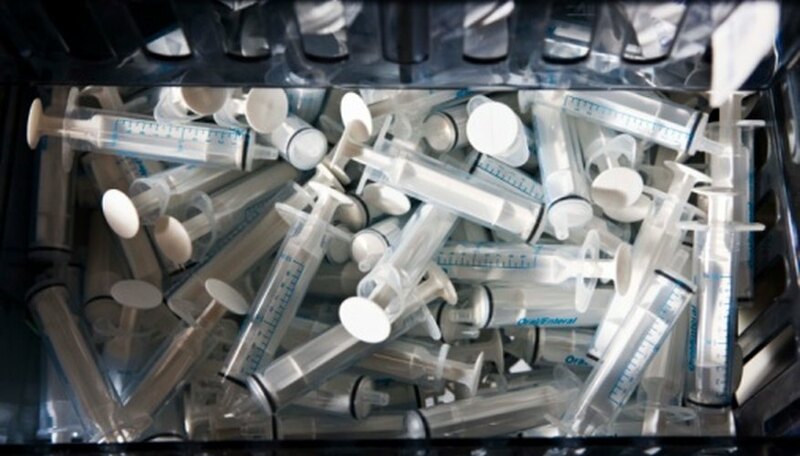 In addition to medical applications, syringes are useful for measuring and mixing small amounts of paint, touching up scratches and applying paint to small, hard-to-reach areas. After filling a syringe with paint or another liquid, you should prime the syringe. Priming a syringe takes only a few seconds and removes air bubbles in the liquid for consistent paint application and accurate measuring. Fill the syringe with the medium of your choice. Hold the syringe with the tip up so air bubbles rise to the top. Gently depress the syringe’s plunger to release the air into a small cup. Continue depressing the plunger until a small amount of the liquid medium comes out. You may now use the plunger to apply a consistent stream of paint.